DeWitt and Dunn Now on Angie's List and Yelp! DeWitt and Dunn Now on Angie’s List and Yelp! We are excited about our new listings on two prestigious review websites – Angie’s List and Yelp. We invite you to share something about your experience with us! Here is what two of our clients had to say about DeWitt and Dunn. Karen and I just wanted to say how very thankful we are to have you in our life. You helped us when we were concerned and confused and you continue to do so to this day. We consider you one of life’s true blessings. Ditto for Matt and Laura. 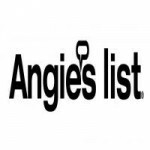 Angie’s List now has over 2 million members who post over 40,000 reviews each month. Angie’s list members “grade” companies using a report card type of grading system which ranges from A to F. If you are an Angie’s List member, please log in and tell the rest of the world about your experience with DeWitt and Dunn & Annuity Watch USA! For an online urban city guide that helps you find cool places to eat, shop, drink, relax and play…take a look at Yelp. Yelp is a fun and easy way to find, review and talk about what’s great — and not so great — in your world. 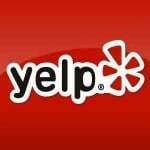 We invite you to post a review of DeWitt and Dunn on Yelp.